Chinese stir fried vegetables is a popular, delicious and healthy side dish to accompany any meal. 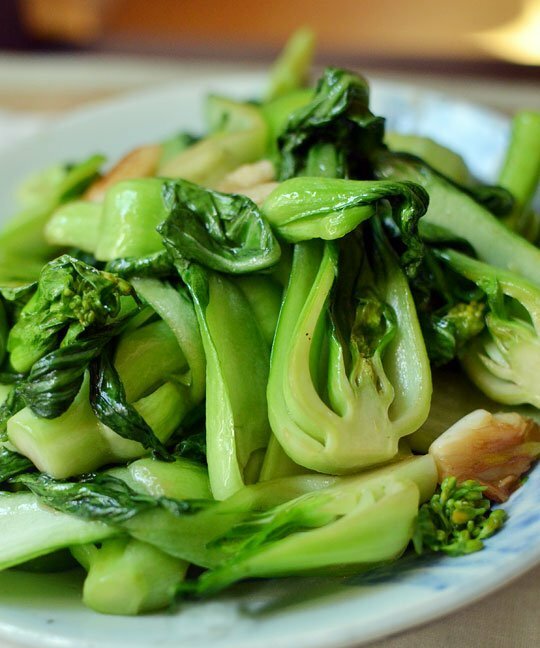 Popular vegetables to use include spinach, bak choi, snow peas or green beans. Here is our recipe from our course at the Yangshuo Cooking School. Add the smashed garlic, vegetables and salt and stir fry until soft. Add water (do not stir) and turn to high heat. Only stir once water has started bubbling as this will negatively affect the flavour. Once everything is mixed together, remove from heat and serve.